Legislators, media, some senior advocate groups, and even the general public miss the point that reverse mortgage borrowers are already highly protected. With more protections than with any other loan or financial decision seniors make they still feel more protections are needed. Currently the only reverse mortgage is the Home Equity Conversion Mortgage (HECM) which is insured by HUD. HUD has guidelines and requirements to protect seniors. Even when there were proprietary (private) reverse mortgage products, they followed HUD’s guidelines. While there are protections, seniors still have the right to make their own decisions, for better or worse. Let’s discuss these protections. Third-party counseling is required on all reverse mortgages. Counseling is absolutely mandated with no exceptions and is provided by HUD trained and approved counselors. During the counseling sessions the counselors are required to follow a protocol approved by HUD. Evolving over time, HUD’s counseling guidelines and regulations now require distance between the counselors and lenders. Lenders are required to provide borrowers with a list of 5 local and 5 national counselors without steering borrowers to any specific counselor. Additionally, counselors are restricted from steering to lenders. 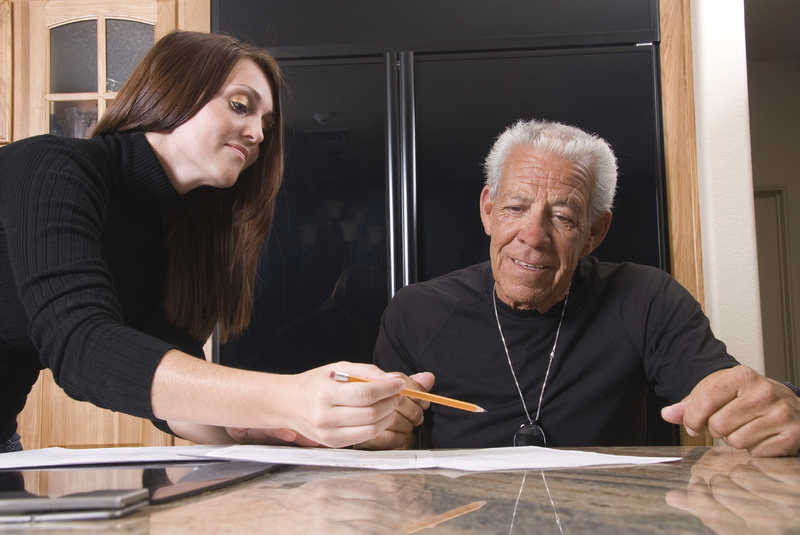 The counselor’s role is to educate about reverse mortgages, explain the allowable fees, and terms of the loan so potential borrowers have an understanding of the reverse mortgage. They also provide other potential options. They counselors are not to make a decision for the borrower on whether they should or should not do the reverse mortgage. 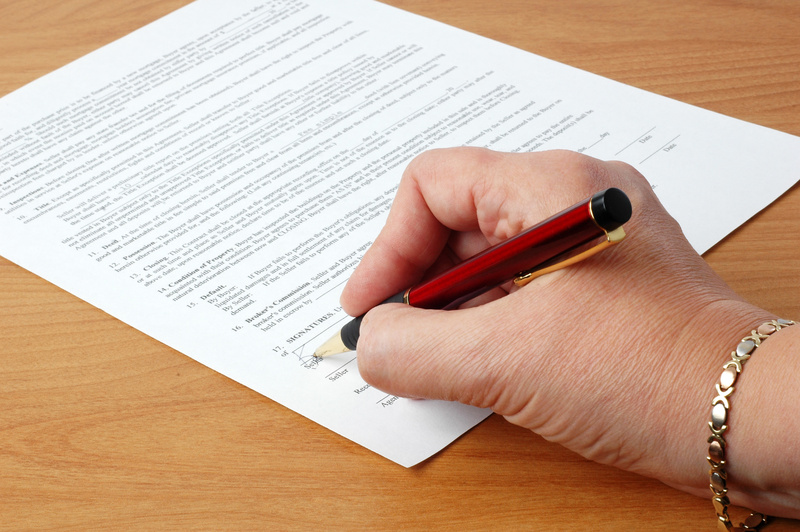 Lenders require mortgage brokers sign forms that they do not sell insurance and do not cross-sell. All lenders application packages have disclosures stating that annuities and/or other financial products are not required to be purchased with reverse mortgage funds. HUD regulates the fees. HUD outlines what lenders and third-parties may charge stating they must be customary and reasonable costs necessary to close the mortgage. Mark-ups are not allowed. You may find HUD guidelines at their website (http://www.hud.gov/offices/hsg/sfh/ref/sfhp2-15.cfm) and in Mortgagee Letters 2008-34; 2006-07; 2006-04; 2004-18; 2000-10. The Good Faith Estimate (GFE) must disclose all fees. RESPA (Real Estate Settlement and Protections Act) requires all fees be disclosed at the time of application, restricts what fees can be changed and for the fees that can be changed borrowers must receive new disclosures. The Total Annual Loan Costs (TALC) must be disclosed. Providing a comparison of the percent of the costs to the amount received through the loan, this document discloses that the longer one keeps the loan the less expensive it is. Sample Closing Documents must be provided at the time of application. HUD requires that borrowers must receive the sample closing documents as well as a booklet regarding home equity loans. This gives borrowers time to review the documents they will be signing at closing. They may also have family, trusted friends or their attorney review the documents during the processing. Non-borrowing spouse disclosures outlining the risks if a spouse will not be on the loan. Taxes and Insurances are the responsibility of the borrower(s). 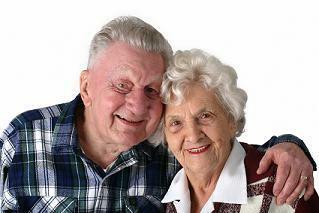 Annuities and/or other insurance and financial products are not required with a reverse mortgage. If annuities are being purchased the costs of the annuity are to be included on the TALC. Three-day Right of Recession. As with any refinance, there is a three-day right of recession giving the borrower(s) time to review and decide whether or not to proceed. HUD insures and guarantees the funds. As a HUD insured loan the funds are guaranteed to be available to the borrower as long as the borrower(s) abide by the terms of the loan. Non-recourse loan. Unlike any other loan, the reverse mortgage is a non-recourse loan which means there is no personal liability to the borrower or the estate as long as the borrower or their estate is not retaining ownership when the loan is due and payable. There are guidelines for marketing practices. HUD, The Federal Trade Commission and industry associations review and have cracked down on misleading advertisements. State licensing and the SAFE Act. Many states require mortgage brokers take test and receive licensing in order to originate loans including reverse mortgages. (Note: FDIC insured banks are exempt from these requirements.) The Housing and Economic Recovery Act of 2008 (HERA) enhances consumer protections including encouraging states to establish minimum standards for licensing and registration of mortgage loan originators. The SAFE Act will establish and maintain a national mortgage licensing system and registry for the residential mortgage industry. A reverse mortgage compares to a regular home equity loan in the fact that regardless of age the mortgages are used to finance lifestyle using the home equity. With a forward/conventional loan the funds are taken as a lump sum and can be used however one wishes. If a senior is selling they have costs associated with sale and receive funds in a lump sum. No one is controlling how they use the remaining equity from the sale of the home. And they have to determine where they are going to live. If they are renting (i.e. regular apartment, independent living, or assisted living) the money may only last for a short period of time and they may still not have funds for future needs. If they win the lottery they have money in a lump sum which can be spent however they wish. With credit cards seniors (or anyone) are not restricted on how they are used. They can charge for whatever they want. And they then have created debt that has to be paid back on a monthly basis. When you hear that seniors need to be “protected from the reverse mortgage” remember all these protections and know that seniors doing a reverse mortgage have more protections than any other loan or financial decision they make. As with any decision, especially financial or legal, one should be educated and understand the service or product. And while these protections are in place, the seniors still have a right to decide for themselves on whether the reverse mortgage is right for their situation. Misconceptions of Reverse Mortgages Abound…What Do You Know? 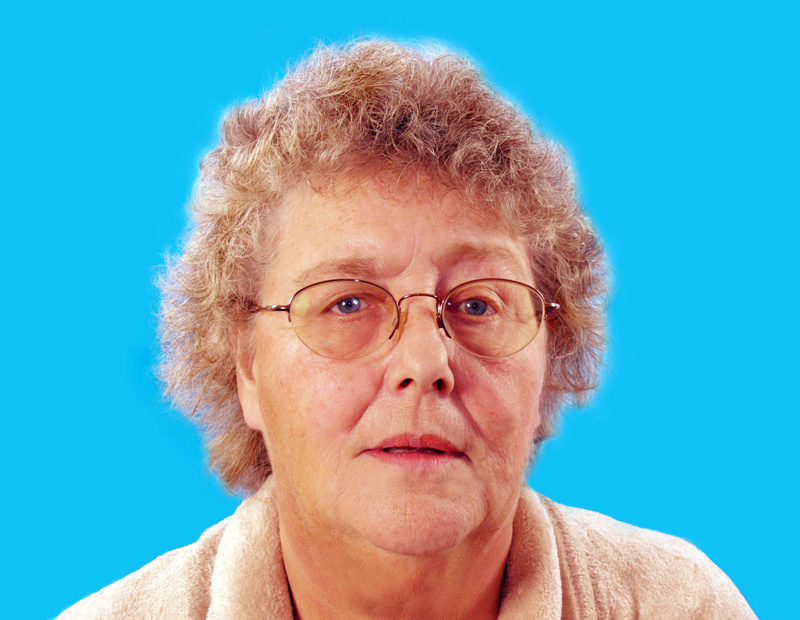 Marie lives in a manufactured home (sometimes called a mobile home). It’s a beautiful home built around the original form so you can’t even tell it’s a manufactured home. Two years ago I worked with Marie but unfortunately we were not able to do a reverse mortgage because her manufactured home did not meet HUD’s requirements. While we can do a reverse mortgage on manufactured homes they have to meet the long list of HUD’s requirements. Two weeks ago Marie called and said she had talked with an originator of a large bank who told her that the reverse mortgage can be done on her home. Marie said she had called me because she trusted me. As I discussed the situation with her she said the other originator had told her that they found on the internet that her property had been reclassified. Additionally Marie said at the suggestion of the other originator she had scheduled her required counseling. Not believing that a manufactured home could be reclassified, I told Marie to cancel the counseling (potential cost of $125 which she didn’t need to spend if her property wouldn’t qualify) and that I would check to see what I could find out for her regarding a reclassification. After doing some checking on the internet, reviewing HUD’s requirements and checking with an underwriter, I called Marie back to confirm what I initially thought, her property was not reclassified from HUD’s standpoint and HUD would not insure her property. A manufactured home is a manufactured home no matter how much you have done to change the look. Fortunately Marie had called me – if she had proceeded with the other lender she would have spent $125 for counseling, $450 to $500 for an appraisal and then found out that she still couldn’t do the reverse mortgage. She took it in good humor, stating, “They’ll do anything to get an application.” While I would have loved to do the reverse mortgage for her, I believe in servicing the client even if it means I won’t earn a commission. Another call I received was from someone who was shopping for lenders. They lived on a rural property and after talking with them about their property I determined that it would not meet HUD’s requirements because of commercial use. This person said they were told by a large bank originator that they could do the reverse mortgage. If they proceed in with the counseling, application and the process with the other lender when the file gets to underwriting (hopefully) or to HUD they will be very disappointed when they learn the reverse mortgage can’t be done, especially when they have paid for the counseling and appraisal, credit and flood certificate fees. 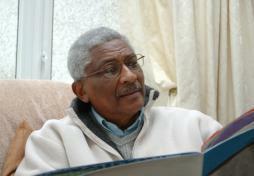 Reverse Mortgages can be lifesavers for seniors but the property has to qualify. Keep in mind that some lenders require originators submit a number of applications as part of their employment, even if they don’t close. These are just a couple of examples, we receive other calls on unusual properties where other originators have led the borrower to believe a reverse mortgage can be done where in fact HUD will not insure the property. While this is not reverse mortgage fraud, I consider it to be unethical. Seniors should contact and work with originators who have years of reverse mortgage experience not only in originating but also with HUD’s as well as the investor’s requirements, processing, underwriting. Ask for references. Additionally the originator should look out for the seniors, i.e. be a senior advocate – we don’t want to get senior’s hopes up and have them pay out hard earned money if they aren’t going to qualify for a reverse mortgage. Every industry has their bad apples and reverse mortgages are no exception. However the few and far between “bad apples” in the reverse mortgage industry are not representative of the industry or the product as politicians, media and some reporters are stating. Headlines such as “Beware of Reverse Mortgages” is a disservice to seniors because it scares away the seniors who could benefit from a reverse mortgage. So even the reporters and politicians are bad apples spoiling the bushel of reverse mortgages. There is little evidence of subprime lending and fraud with reverse mortgages. The National Consumer Law Center Report recently released which claims reverse mortgages are the next subprime mortgage is not based on statistical evidence. As Peter Bell, President of the National Reverse Mortgage Lender’s Association has pointed out, the cases sited in this report are over 3 years old and some have been dismissed in the legal system. Some of the instances mentioned in this report are not abuses by lenders but by those who took advantage of seniors who had the reverse mortgage. My Blog article, “It is NOT Reverse Mortgage Fraud When…” outlines some claims of reverse mortgage fraud that aren’t really reverse mortgage fraud. One bad apple was where a scheme was set up to flip homes using a reverse mortgage. Another bad apple was an investor who sells the property using a quit claim deed then the buyer applies for a reverse mortgage using an inflated appraisal and a fake mortgage company. The senior then refinances using a reverse mortgage paying off all debts including the fake mortgage providing the investor funds – some of these seniors were homeless prior to the scheme and didn’t understand the terms of the loan or the need to pay taxes and insurance on the property. Protections have been implemented to stop these types of schemes. An originator who proceeded with the loan closing knowing the borrower had passed away was another bad apple. Out of all the reverse mortgage lenders and reverse mortgages these are the only instances I found to be real fraud and this is not an issue with the product itself but with a person or persons. If there are more, I couldn’t find them in my search of reverse mortgage fraud through the many sites and articles found at the FBI, Federal Trade Commission, HUD, National Reverse Mortgage Lender Association, and other industry reports. Obviously with only these instances, reverse mortgage schemes and fraud are not increasing or set to be the next subprime focus. Yes, there is always a risk of potential increase of scams and fraud as there is a risk of increase of scams with anything including increase of theft from a store, identity theft, medical or insurance practices or products, on and on. And while everyone doing a reverse mortgage, a conventional mortgage or any financial transaction should know the facts and beware of scams, three or four instances does not mean the product should be avoided. Would you stop shopping because it involves using cash or a bank card just because there is a risk of increase of theft or identity theft? No, you just take precautions. Do you stop driving your car because there is a risk of increase of car theft. No, of course not, you just take precautions. HUD has many protections in place making the reverse mortgage the safest loan available to seniors. These protections include required third-party counseling, now with a new protocol (see my Blog article “New Protocol for Reverse Mortgage Counseling”), regulating fees, prohibiting cross-selling, implementing a wait period for home purchases (a result of a scam) as well as review of marketing practices and disclosure of fees. Instead of highlighting how many seniors have benefitted from the hundreds of thousands reverse mortgages that have been done and how originators have bent over backwards to help seniors save their home from foreclosure, eliminate mortgage payments, have cash to repair or modify their home or have funds for medical expenses or home health care, or funds for their retirement during the economic downturn the media and politicians focus on the rare instance of fraud. “Get a home-equity line.” First, most seniors don’t qualify for a conventional loan and if they could, they would have to make payments (often what they are trying to eliminate or avoid). And even if they can afford the payments today, what happens when “life happens” and they juggle between making mortgage payments, paying their utilities or paying medical bills and putting food on the table. Besides, the reverse mortgage IS a home equity loan. It is a home equity loan with special terms for seniors including no income or credit score qualifications, no monthly payments and is a non-recourse loan insured by FHA with a lower interest than they can qualify for with a conventional “forward” loan. The loan is not due and payable until the home is no longer the primary residence or on their 150th birthday. It also offers more flexibility on how they can receive their funds including monthly payments, line of credit, lump sum or a combination of these. “Sell and move.” Most seniors want to stay in their home where they have raised their children, are familiar with the neighbors and neighborhood and have a lot of emotional ties. Additionally moving and selling can cost more than a reverse mortgage. Read my Blog, “I Want To Stay In My Home – Don’t Tell Me To Sell!” which compares the costs. To make sure you aren’t working with a predatory lender, check references, check to ensure they are a HUD approved lender, know they specialize in reverse mortgages, have experience, knowledge, and are willing to meet with you to review the details, before the application, during the application and at closing. You should review “Don’t Let Fear Keep You From A Reverse Mortgage But Know What To Look For In A Lender” to know the questions to ask when talking with an originator. So don’t let the bad apple spoil the bushel of reverse mortgages for you. Get the facts, know what to look for in a lender, and explore the option to see if it might benefit you as it has benefitted hundreds of thousands of senior homeowners. There seems to be a fear that lenders who caused the downfall of the mortgage industry are entering the reverse mortgage industry and will be the next subprime product. Legislators here in Minnesota and elsewhere and even the US Banking Regulator, John Dugan, has made statements to this account. However, in reality those originators are few and far between in the reverse mortgage side of things. Because of this fear seniors and their families are afraid to consider a reverse mortgage that could really benefit them during their retirement years. Addressing this issue, Atlanta’s NBC affiliate featured Joe Morris, President of Generation Mortgage, a leader in the reverse mortgage industry and a lender whom we at Reverse Mortgages SIDAC, are partners. You can view the interview by clicking here: http://www.11alive.com/news/local/story.aspx?storyid=131277. While seniors and their families shouldn’t be afraid of the reverse mortgages and lenders shouldn’t have the high fear factor of the induction of subprime lenders into the reverse mortgage arena, there are some lenders that shouldn’t be originating reverse mortgages. You can help protect against this. To help ensure that you are working with an originator (also referred to as Loan Officer/Reverse Mortgage Specialist, Reverse Mortgage Advisor or Reverse Mortgage Consultant) who is experienced, knowledgeable and meets the industry’s standards, consider the following when talking with reverse mortgage lenders. Yes, the list is long but knowing the answers to this list of questions will help protect you. How much experience does the Reverse Mortgage Originator have with reverse mortgages (not just conventional mortgages as they are quite different)? Work with experienced reverse mortgage lenders who specialize in reverse mortgages. Ask how many years they have been originating and if/what training they have received. Experienced loan officers have originated hundreds of loans. Ask how many they have originated, not just their company or lender, but them personally. Do the mortgage company and Reverse Mortgage Originator have the required federal and state licensing? Ask your originator to provide documentation that they are licensed and/or look them up at http://mortgage.nationwidelicensingsystem.org under “Consumer Access” – if they are not listed they are not licensed to originate loans. In Minnesota all individual mortgage loan officers (performing marketing, educating, originating functions) have to be licensed. Originating mortgage broker companies have to be sponsored by a Reverse Mortgage Lender who is FHA licensed. Experienced originators should discuss the various programs and help you to assess the program most suitable for your needs. An originator should not pressure you or sell you a particular program, they should discuss the various programs and have YOUR best interests at heart. Will they meet with you face-to-face for an information session and the application? Or do they just mail you the application package? Because of the complexities of the program, originators should meet with you face-to-face to complete the application package. These sessions normally take around 2 hours to review all the documentation and insure you understand what you are signing. Don’t sign a package that is mailed to you – find an experienced local lender to work with you. Because reverse mortgages are different than forward mortgages, the processor should have experience with reverse mortgages. Loan Officers should also have an understanding of the processing and assist in solving any issues that arise during the processing – they should not just be focused on getting the sale and then moving on. Experienced originators should pride themselves on their customer service and be able to provide testimonials and references – ask for them. Originators should be familiar with how the reverse mortgage interacts with other programs. If they don’t find a different lender to originate your loan. You may not need this now, but you may in the future. You, of course should be treated with respect and dignity. If you feel you are not, find a different lender. Originators should encourage you and welcome talking with your family and/or trusted advisors about your decision to do the reverse mortgage. At the time of application or within three days, originators are required to leave you copies of what you signed including the calculations and Good Faith Estimate, two booklets, and samples of the closing documents. If you do not receive these, request them, if you have problems receiving them, change to a different lender. HUD does not allow a lender to steer or be involved in your choosing or receiving counseling. Be cautious that you do not complete an application or give the lender the counseling certificate until you have made your final decision of the lender you are choosing. Once an originator or lender has the counseling certificate they can obtain a FHA number and lock you into using them when they might not be your choice of originator or lender. Don’t be afraid of reverse mortgages or reverse mortgage lenders. Reverse mortgages won’t be the next subprime product. Be educated on reverse mortgages and work with an originator and lender who is experienced, knowledgeable, meets the industry’s requirements and fulfills the above list of expectations.